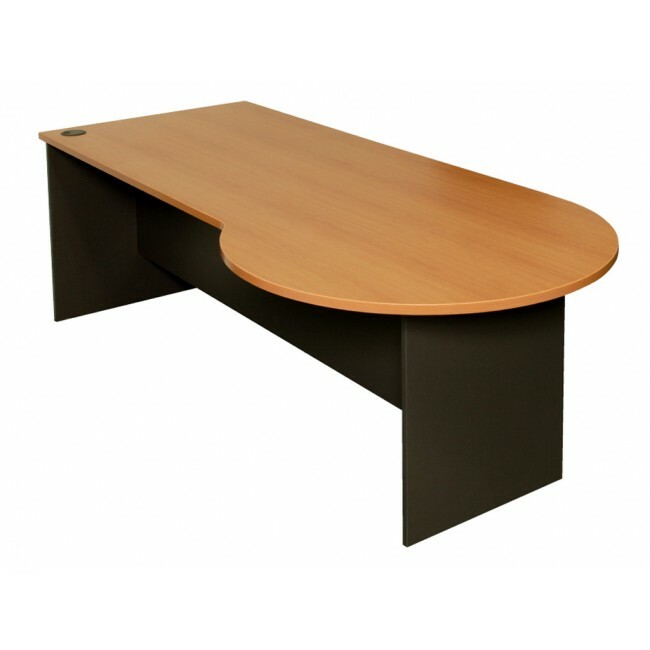 High quality office desk with a meeting end with a left or right orientation. The desk top is 25 mm with 1 cable port and and 18 mm side panels. Extra depth of 900 mm and width of 2300 mm. The desk comes in 2 colours and is backed up by a 3 Years Warranty. Great price!